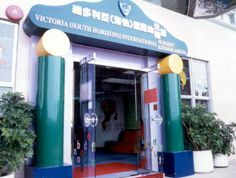 Victoria Educational Organisation was founded in 1965 and has been providing high quality childhood education for over 40 years, comprising nurseries & kindergartens in the Hong Kong and China regions. 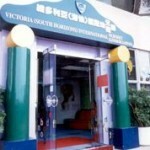 Victoria Educational Organisation employs approximately around 500 people. They required an affordable Time Attendance system that allows quick, easy access to punctuality and time attendance records of their workforce. They also required Access Control facilities to secure their computer servers against unauthorised access and use. Multiple Jakin ID Fingerprint and Smart Card units were deployed on the sites for flexible authentication methods. Built in CMOS Camera provides snapshots of the user from each transaction made from the terminal. Integrated Access Control facilities with Time Attendance saves time and costs from additional unnecessary hardware. Web based embedded software in terminals allows users to quickly analyse event logs and export records when needed. Jakin ID’s bespoke platform and standalone server setup allow Victoria Educational Organisation to incorporate log data into their HR existing software. Victoria Educational Organisation had little trouble adapting to the new system and was able to benefit from new technologies that the Jakin ID system offered with minimum disruption. They were pleased with the ease of use the Jakin ID terminal provides to the user and found it surprisingly affordable given the vast set of features it offers and would recommend such unit to others as a result.